CSIR NET preparation guide - In this viudeo lecture Suman Bhattacharjee talks about the most important topics for CSIR NET exam in life science. Most important topics and chapters are demonstrated unit wise in the video lecture. a list of suggestive topics are listed in the video lecture. If you follow these list of topics, it will be easy to prepare for CSIR UGC NET exam in life sciences. The complete statistics of number of questions asked from each unit is mentioned with numbers. 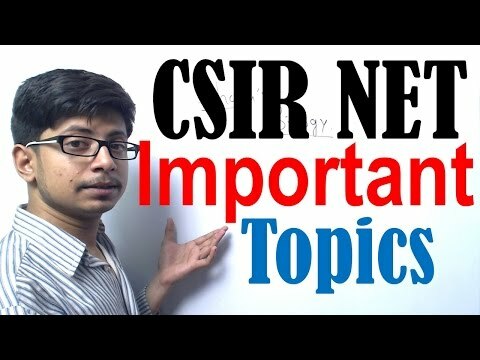 This will definitely help you for the CSIR NET exam preparation. Watch out my other CSIR NET life science lecture videos for more such helpful tips and tricks. Thank you for watching the lecture video on CSIR NET life science most important topics.